Alright, so it looks like that you have recently installed the Windows 10 on your PC. Now, there are quite a lot of necessary programs that one should install on their PC. Most of these are required by everyone. A Web Browser is also a part of such programs for Windows 10 Computers. But do you have what they call the “Best Web Browser”? 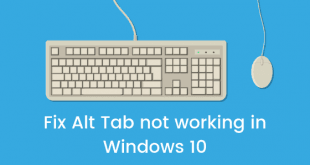 Well, if you go out on the internet looking for a browser for Windows 10 PC. Then, the chances are that you would not be able to make a choice. This is simply because there are a lot of options when it comes to a Web browser for Windows PC. Some of them are quite good, while others not so much. 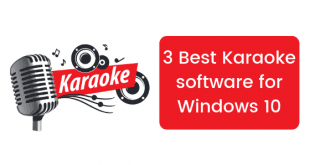 So today, in this post, we would be covering on Top 5 best Web browsers for Windows 10 in 2019. Now, if that sounds interesting, let us top into it. Here are our picks for the Top 5 best Web browsers for Windows 10. Now, do note that none of these are sponsors for this post. These are our personal choices an are not influenced by anyone in any means. With that being clear, that being said, let us take a look at the first browser on the list. Should we? Come on! You already saw this one coming. Didn’t you? The Google Chrome has more than 60% market share in the world. Just in case, if you don’t already know, Google released the Chrome Web browser back in 2009. From then, it quickly stepped up the ladder gaining more users and popularity. It was primarily because it was the fastest back then and had not much competition as well. The Google Chrome coves all the features that a user needs. These include features like bookmark management, extensions, themes, incognito mode and more. With chrome, the users can also create various browser profiles for multiple users. Not just this, if you have a chromecast device, then you can cast the content to it directly from your browser. How cool is that? Well, the Google Chrome is available for completely free. You should definitely install it on your Windows 10 PC. 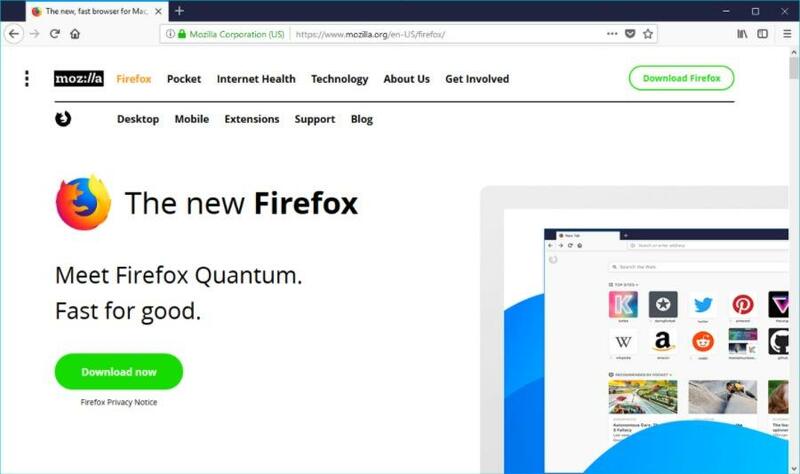 Continuing with the list of Top 5 best Web browsers for Windows 10 for 2019, we have the Mozilla Firefox coming in at number two. Now, if you are looking for a good Chrome alternative, then we are pretty much sure that you cannot go wrong with the Mozilla Firefox browser. Firefox is one of the fastest web browser after the Google Chrome. Now, most of the features like bookmark management, add-ons, incognito mode are available here too. Though, our favourite feature of the Mozilla Firefox is that it supports extensions as well. The Mozilla decided to name these extensions as “Add-ons”. There is a huge library of the add-ons for Firefox. Though, less than what chrome has but still enough for an ordinary user. Mozilla Firefox is also available for free to download and install on a Windows 10 PC. Ah! Okay, some of you didn’t saw this one coming. Right? Well, let’s keep all the memes about the Microsoft’s attempt Internet Explorer aside for the time being. Now, tell us, Have you even tried the Microsoft “Edge”? Well, do note that we are talking about the Microsoft “Edge” and not the “Internet Explorer”. They are both different programs. 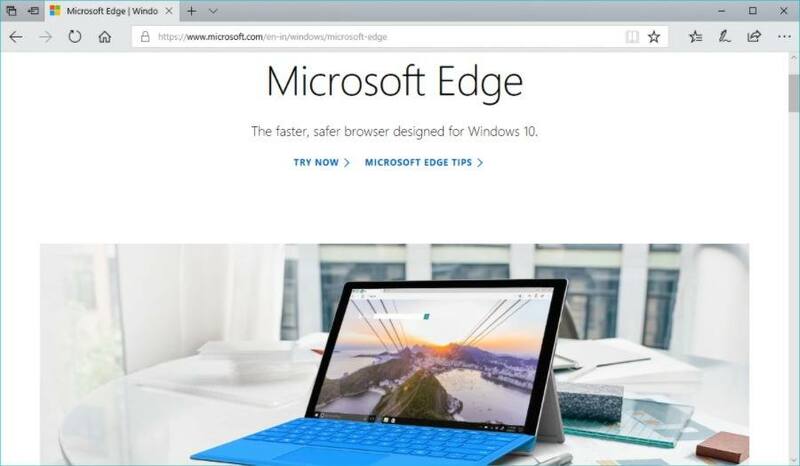 Microsoft Edge is the default browser by Microsoft for the Windows 10. Microsoft Edge is actually a pretty fast browser. You can expect some great speed with it. Now, coming to the features, the Microsoft Edge does comes with some useful features like built-in Notes extension, reading mode, tab previews and web page sharing. Unfortunately, you cannot install any extensions or add-ons. While testing, we had a pretty good experience. The broswer was fluid and responsive too. Opera Browser sits at number four on our list of Top 5 best Web browsers for Windows 10 in 2019. Well, if you are someone who have used a Java Bar Phone in the past, then you might remember those old days when we used to use the Opera Mini on a small screen to browse the web. Now, the Opera has done the efforts to bring a better experience on the Windows 10.
data compression mode, ad blocker, battery saver, screenshot, VPN, currency converter and more. Another reason to use the Opera Web browser would be if you have a limited amount of data. This is because the Opera browser does a pretty good job of compressing the data. 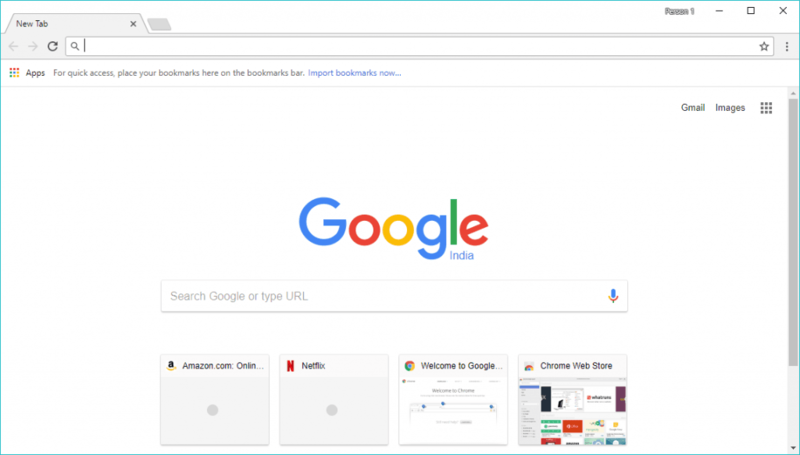 Opera browser is also completely free to install and use on Windows 10. 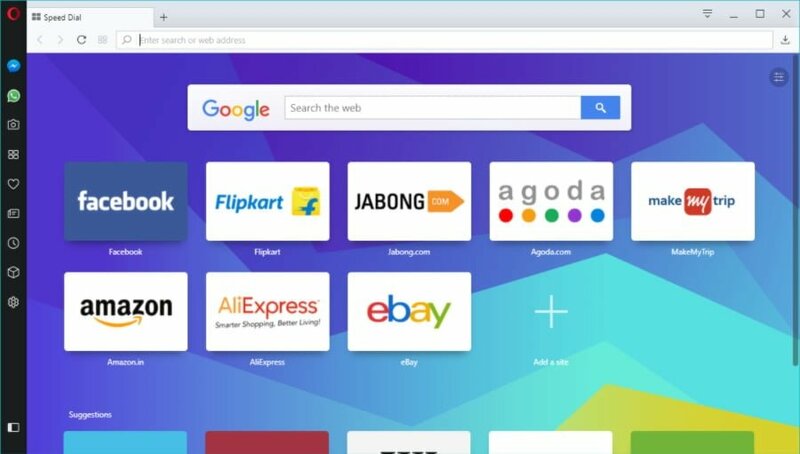 And finally the last but certainly not the least, we have the Chromium Web Browser. Now, if you are someone who loves the “Open-Source” stuff like we do, then you would love this browser for Windows 10. Now, a lot of you might not already know that the Google Chrome is actually based on the Chromium. 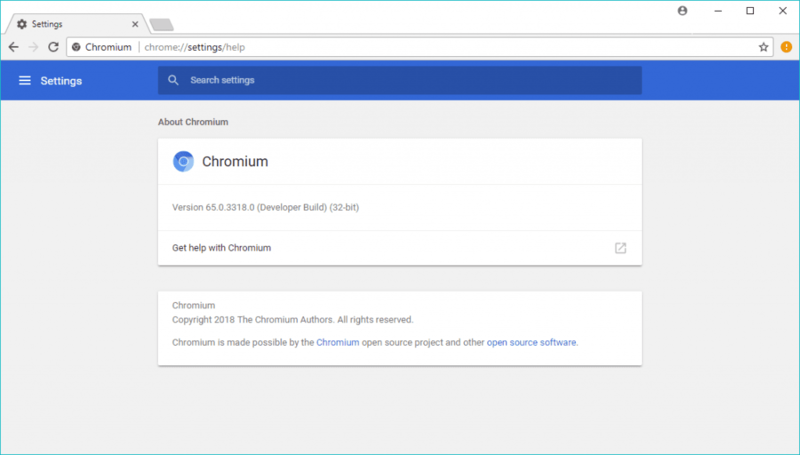 Since the Chromium is open source, the Google sprinkles some of its features to it and present it as the Google Chrome. 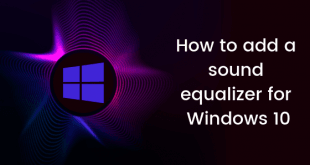 If you have used or are using Google Chrome on your Windows PC, then you would not face any issues with the Chromium since most of the things are quite similar. You can sign-in using your Google account, sync data, download extensions and more. Though, the browser is updated daily and might end up getting hiccups at times. So if you want a stable pick for a Web Browser, then you better go with the above ones. 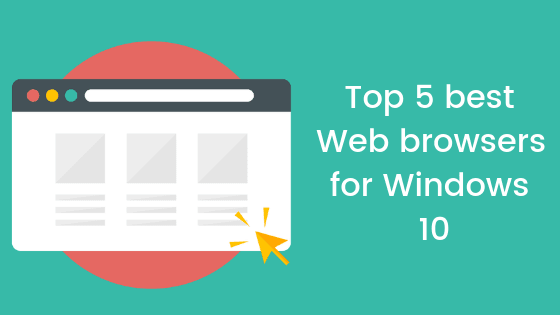 So that’s it guys, this was our take on Top 5 best Web browsers for Windows 10. We hope that you found this post useful. Let us know what’s your pick for the best Web browser for Windows 10 for 2019 in the comments section down below.